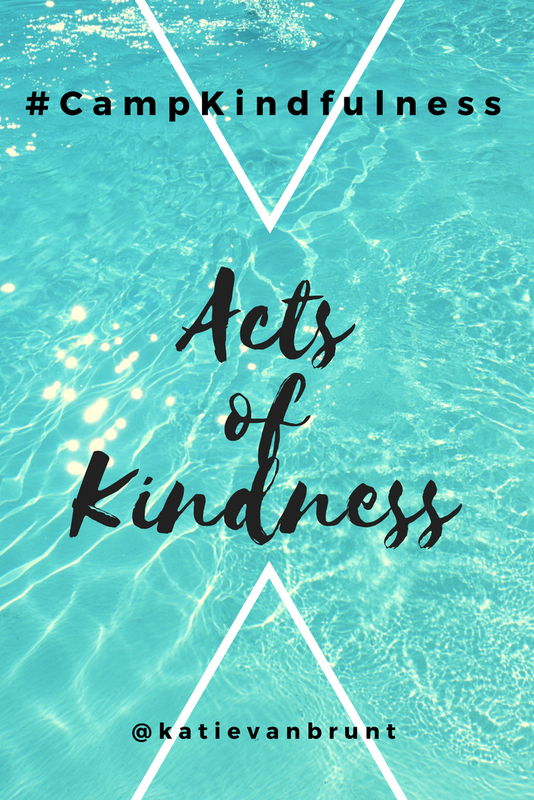 As promised, here’s a list of “Acts of Kindness.” I could create a whole list, but I love this one from “Coffee Cups and Crayons” so I am sharing it instead. This one is *geared* towards kids, but really it’s for to anyone, young or old! 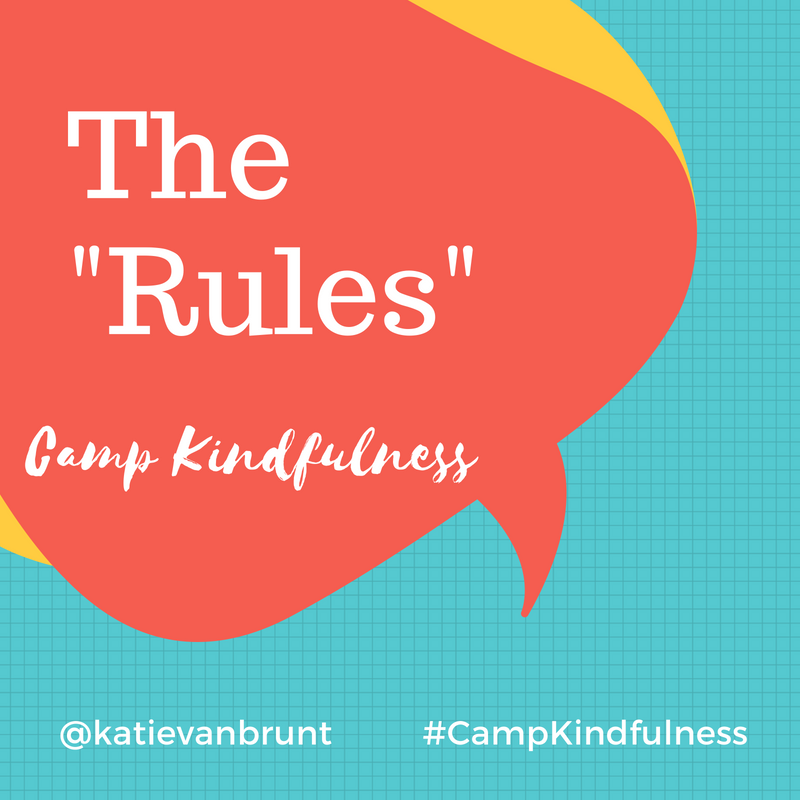 Remember, #CampKindfulness is not about doing E V E R Y T H I N G on the list, or doing it perfectly… or even every single day. It’s about finding moments to be intentional with your kindness, thinking about how you (and your kids) can serve and do kind things for others throughout your day. 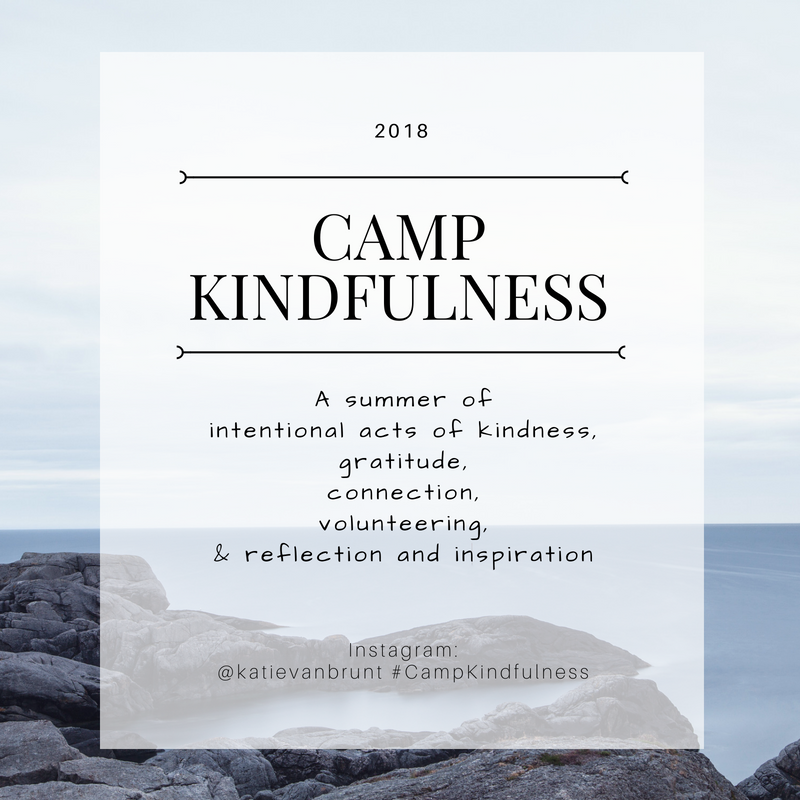 New to #CampKindfulness and wondering what it is? Start here. What are some ideas you’re excited to try this summer? 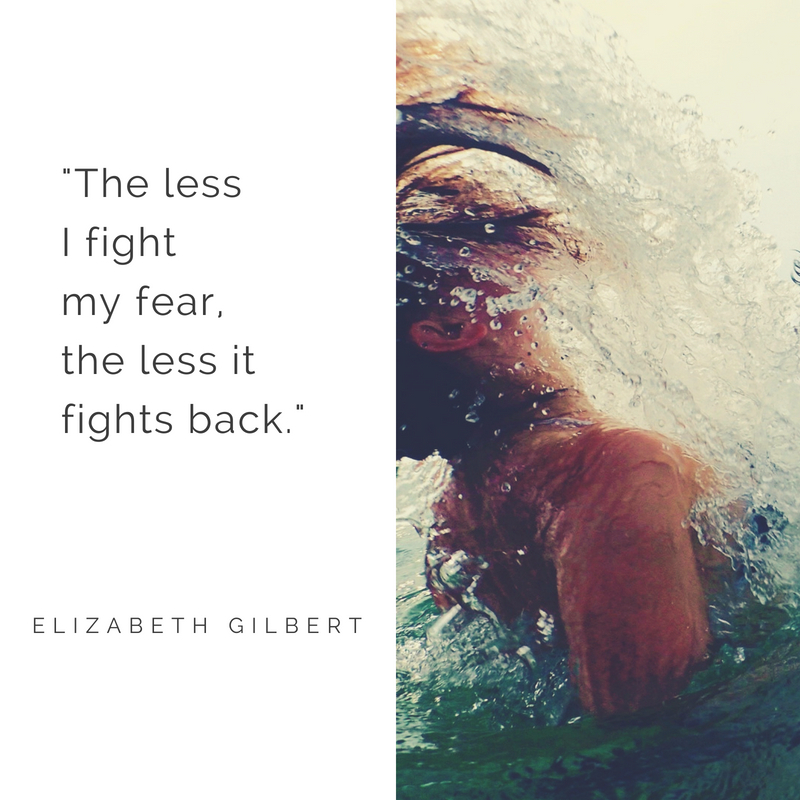 Fear is holding me back. But most of all, I’m afraid that if I don’t write it down and don’t say what I want to say, and no one reads it or sees me then that’s the biggest mistake of all. So I will write. And it may not be perfect, but it will be raw and real and honest and that’s what makes me ready. My goal for the summer is to worry less about academics, and focus more on making this world a better place—starting with the little people in my home! I hope to create simple, but meaningful activities to teach my children the importance of intentionally being kind and serving others. The point is to teach my kids that small acts of being purposefully kind can make a big difference! The Five Pillars of Kindfulness are: volunteering, intentional acts of kindness, connection, reflection and inspiration. 1. No stress. This is not meant to be “one more thing” you *have* to mark off your checklist this summer. Do as much or as little as you can and what works for your family. It’s not meant to be “perfect”. We’re all learning & growing here! Even one day of consciously being kind is better than no days at all. 2. 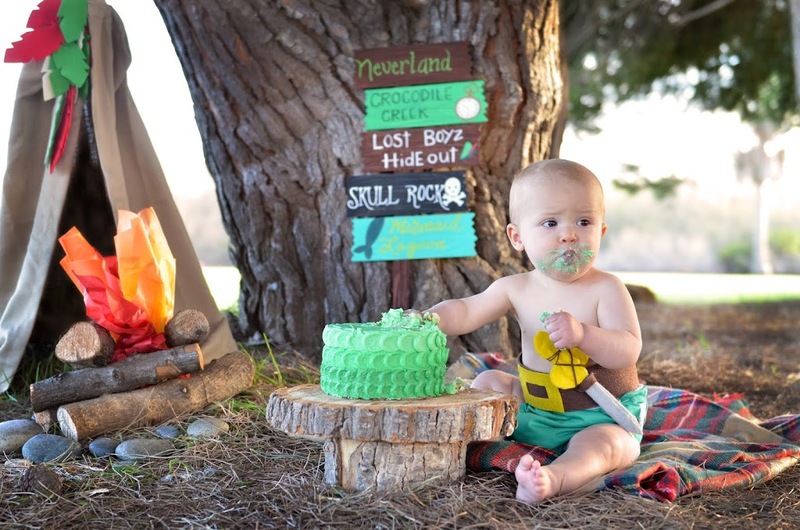 Make it age appropriate. But there’s no limit on age. You can teach a one year-old to give a hug or clean up blocks. A 100 year-old can spread wisdom to others. 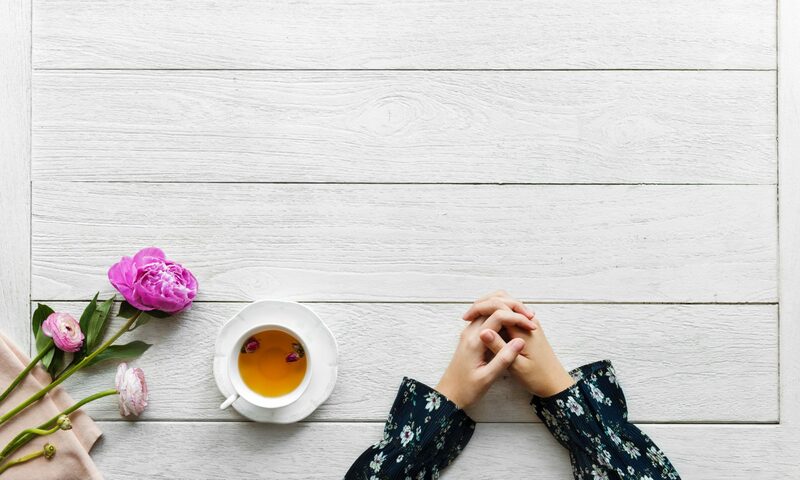 Try to incorporate mindfulness and self-awareness activities whenever you see opportunities throughout your day. 3. Do your best to casually instill mindful habits. For instance, for my family that may look like reading one page in the book “Breathe Like a Bear,” teaching my kids to notice their breath and calm their bodies when they feel frustrated. Again, the point is to make it simple and doable, and not become overwhelmed with doing it Perfectly. 4. Spread the good! Tag me on Instagram @katievanbrunt with the hashtag: #CampKindfulness so I can see the progress (not perfection!) you’re creating. Recently I posted a little tidbit about how I fit in “Me” time with three small children, and a husband that works (mostly insane) hours. As promised, here is a more detailed version of how I map out my mornings. 5:24am – Alarm goes off again. (And I contemplate hitting snooze again.) I get out of bed, take my medicine, wash my face, and get dressed. Getting dressed has been one of the hardest things to train myself to do… and I’m still working on it! It’s hard because I don’t think my brain is awake enough to decide what to wear. But deciding to put *something* on (like workout clothes, 99% of the time) is better than staying in my pajamas. 5:35am – I throw in a load of laundry (“A load a day keeps the mountain away”). This little life hack has helped tremendously. Next, I start a pot of coffee. (I love my French press.) But before that, I always drink warm lemon water with local honey. It’s a gentle way to wake up my body, and the local honey helps with my allergies. Then, I sit down and get busy with my Bible. I read one chapter a day (sometimes two if I’m having an exceptionally smooth morning.) Right now I am reading Proverbs, mainly because I personally feel like it needs less brain power in the morning to navigate (as compared to other chapters in the Bible). Then, I “Prayer Journal”. (I wrote about my prayer process here.) I like to write down my prayers because it holds me more accountable to be truthful, as well as navigate my weaknesses and come up with a plan on how to be a better version of myself. I also imagine my kids one day reading through my prayer journal and apologizing for driving me crazy. Kidding. Kinda. But I do imagine them reminiscing over some lovely memories and realizing that whatever they go through in life, their feelings are normal. After that, I “mind dump”. 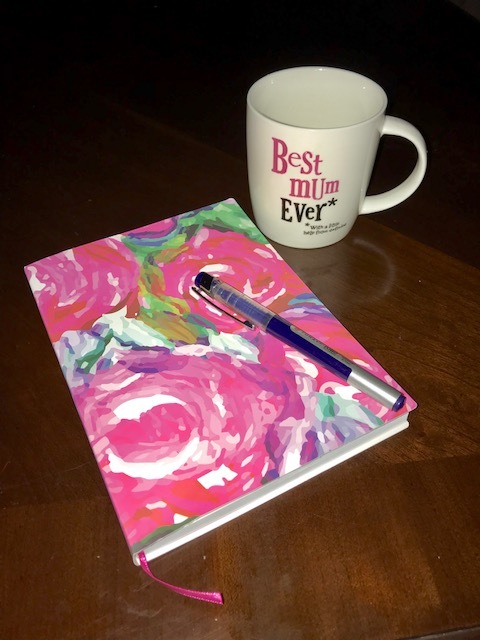 I quickly jot down whatever comes to mind that I need or want to do. (i.e., “diapers at Costco”, “dog food”, “send thank-you note”, “phone bill”, “babysitter for Friday”, etc.) If I wake up with too much *stuff* in my brain, I’ll mind dump first-thing in the morning to prevent it from becoming too much of a distraction. I also take this opportunity to review my agenda for the day, and 1. Make sure I know the correct date, and 2. Know exactly what I’m suppose to be doing for the day. 6 or 6:15am – I cook and eat breakfast. Usually I eat some sort of egg dish (I love my egg sandwich maker) or avocado toast, with fruit, and drink my HOT coffee. I used to cook these elaborate Whole30 and paleo meals, but it got to be too time consuming–with a lot of cleanup. 6:30am – Switch over the laundry and wake up the kids. So there you have it! My morning course of action. Am I tired of waking up at 5:15am? Do I wish I could sleep in? Yes and Yes. I almost always dread waking up that early, but historically speaking, my day is awful if I don’t. One day, while staring at the darkened ceiling, I asked myself, “How did you feel when you hit Snooze yesterday?” Terrible. Short-fused and flustered. Then I asked myself, “How did you feel when you used to wake up early?” Accomplished. Refreshed. Patient. Sooo… Self, “Which do you want to feel? !” Obviously the latter! Even when I try to “cheat” on the weekends and claim an extra forty-five minutes or hour of sleep (because, y’know, it’s the freakin’ weekend! ), it throws everything off. So for now, this is the path I’m taking. Do my kids sometimes wake up before 6:30am? Yes. Do I always get to do every single thing in my routine? No. If that happens, I just write, “To be continued…” in my prayer journal and get back to it later in the day when I can. Is my routine a surefire way to have a perfect morning? Heck no! But it definitely makes for a BETTER morning. The important thing is that I’m trying my best and doing something to help me be the best version of myself. How do you feel about morning routines? What is yours like? P.S. This morning routine was not created over night. I prayed for a long time for God to help me stop yelling at my kids in the morning, and taking them to school in house slippers because I was so flustered and flighty. 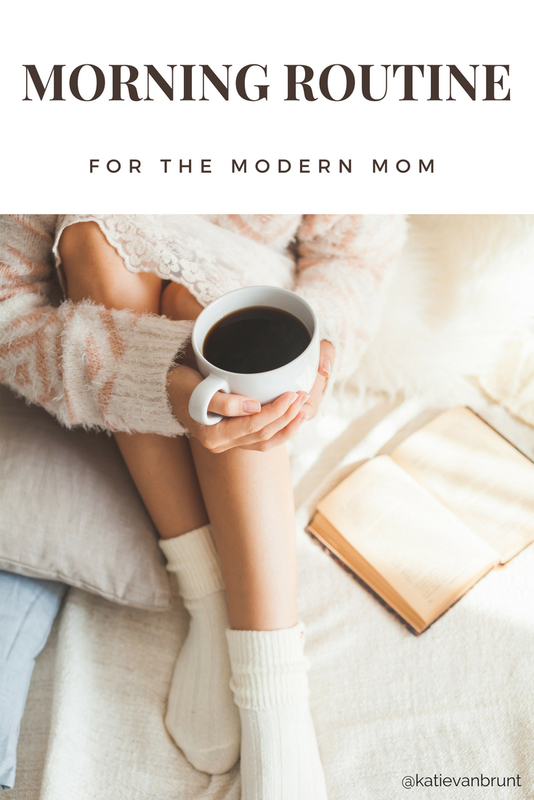 I hope this post inspires you to make your own changes (that best fit you and your family) to make your mornings more peaceful. My husband’s job of being a physician in Residency is very demanding. This month, he had to work two weeks of “nights”. He would go in for his shift around 5pm and get home around 7am. He has worked nights numerous times and each time I felt like I was going to lose my dang mind! Therefore, when I saw “Nights” listed in his future schedule, I thought, What can I do to not just SURVIVE, but actually THRIVE? I set my alarm for 5:15am. I mediated for nine minutes (that’s the length of my snooze button) then got dressed. I went downstairs and drank warm lemon water with honey to gently wake my body, and started a pot of coffee. Meanwhile, I read a chapter in the Bible and prayed/journaled. Next I cooked and ate breakfast with… get this–HOT coffee. Like, actual HOT coffee. I didn’t even know that existed in real life?! All of this took about an hour–just in time for my kids to wake up at 6:30. By getting myself entirely ready before my kids woke up, I felt armored to conquer the day. Cooking for someone who wasn’t living my same “normal” hours was really difficult. By purchasing pre-made meals (from Costco), my husband could eat what he felt like when he felt like it, and I didn’t feel obligated to constantly have something prepared for him. You may be saying, But this is such a waste! Yes, I know. I struggle with this tip, because while it’s super helpful and easy, it’s also bad for the environment. However! Did you know you can compost paper products? By eliminating the chore of constant dishes for the past two weeks, I felt a weight lifted off my shoulders. I had the kids put their dirty clothes in the washing machine the night before (I actually do this all the time as our normal routine) and in the morning I added mine and started the wash. As They say, “A load a day keeps the mountain away.” I switched the load from the washer to the dryer before I took the kids to school and by the time I got back… Ta Da!… I had clean clothes! During our nighttime routine I helped the kids put their clothes away. At the start of the week I wrote things down in my calendar that were absolute MUSTS (i.e. school pick-up/drop-off, after school activities, appointments, etc.). Then I looked at our “free time”. It was important to me that I had no obligations to other people. It just seemed too stressful to try and make commitments when I wasn’t sure what my state of sanity was going to be. I’m glad I left free time for my children to play outside in the afternoons and burn some energy. It made for a *smoother* bed time. Trying to keep my normal cooking routine was too much pressure in the past, especially since my husband wasn’t eating dinner with us. I didn’t want the stress of trying to get my kids to eat things they weren’t thrilled to eat; and since my husband doesn’t particularly care for breakfast for dinner, I figured these past two weeks were the perfect time to do it. Handing over parental responsibilities to another qualified human being for a few hours a week allowed me to take a break and recharge. My husband had one day in between his two-week night rotation so we took advantage of our time together and went away to the beach for one night/day. It was a last-minute decision and I’m glad we did it because it gave us all the much needed quality time we were yearning for as a family. There were times where even though I was doing all of the above, I still felt overwhelmed. (Obviously completely normal!) If I felt those feelings rising, I stopped, took a deep breath, and remembered that it was just a “Season of Sacrifice” and “This Too Shall Pass”. I thought, It’ll be over before I know it and will be a distant memory. 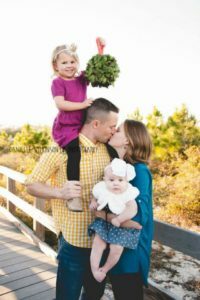 If your spouse is going to be away for a period of time, or is working an opposite schedule, I hope these tips will help ease that exhausting time. You can do it! 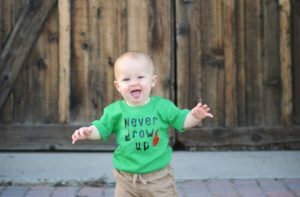 It has been seven years since I was hospitalized for Postpartum Depression. There are so many thoughts swirling in my head about that time in my life. It still boggles my mind that I was ever admitted to a psychiatric inpatient hospital. I said it then, and it has stayed true seven years later: Postpartum Depression was paradoxically the best and worst thing to ever happen to me. It was certainly the scariest time in my life, but it has also taught me more Truths about myself than I ever dared to know. Going through PPD has opened doors to my soul I never deemed possible. Postpartum depression taught me how to manage my stress and anxiety. I wasn’t even aware I had childhood anxiety until I dove into numerous hours of therapy. I sometimes imagine what my life would be like now had I not gone through what I did, and I cringe at the thought. I cringe because I envision myself utterly uptight. I know I would still be sweating the small stuff and suffering from panic attacks. But mostly, I know I would be missing out on LIFE. I would be stuck in “playing it safe” and always reaching for the Easy Button. Now, let me not be mistaken… it’s not that I don’t experience insecurities and difficulties like everyone else, but I’m not paralyzed or plagued by them anymore. 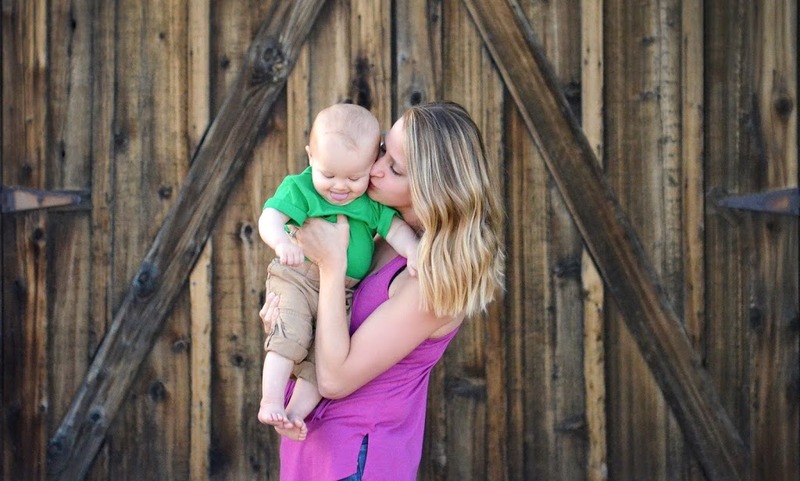 Postpartum depression has guided me towards a more grateful heart. It has helped me see the gratitude in any situation. Is it hard to do this all the time? Yes, of course; I’m only human (with three kids!) But the amount of therapy I’ve experienced has helped me implement this practice into my daily life. I believe this will always be a work in progress, but “practice makes progress” not perfection. Most importantly, PPD led me to Catholicism. I haven’t shared with many people the story of my “Awakening”, but it happened during my stay in the hospital. The priest who married my husband and me, visited and performed the sacrament of “Anointing of the Sick” (something most people receive on their death bed). It was in that moment that I felt The Holy Spirit envelop me with His love and say, “It’s okay. I am here. I will never leave you.” It is bringing me to tears just writing these words and revisiting that precious moment. I used to repeatedly ask myself, “Why me?” Why did I *get* PPD? But going through what I did was suppose to happen to me. It was GOD’S WILL, and I believe that with my whole heart. Even though life is seriously crazy, demanding, messy, and chaotic with an elementary school-aged child, preschooler, and infant at home, I’m much happier and confident with who I am NOW, than I ever was before. And I have Postpartum Depression to thank for that. 12. Re-learn how to do a handstand. And hold it! 1. To pee in peace. 2. To roam the aisles of Target, Home Goods, & TJ Maxx. Alone. With no budget. 3. To not have to put ONE.MORE.KID. in his carseat. 4. A clean kitchen. Or better yet–a personal maid! 5. A massage. Preferably at a spa. Under a cabana on a tropical island. 6. To not have to wipe any butts. 7. To sit in Starbucks alone. Drinking a (gasp!) HOT coffee, whilst reading a book not about parenting. 8. To not have to make any decisions.